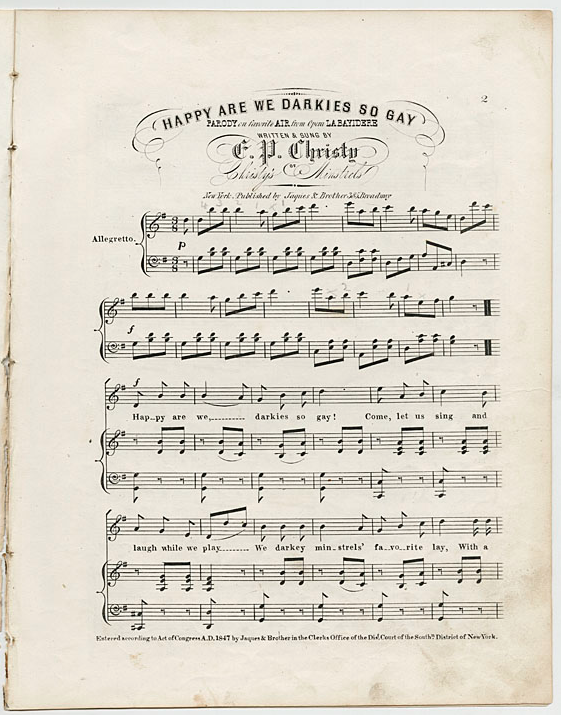 The tune in the image above, “Happy Are We Darkies So Gay” is yet another false portrayal of the African American sentiment. Slaves were not happy to be enslaved, and the minstrel shows went out of their way to satirically demonstrate a falsehood among white audiences that African American individuals liked doing menial work on plantations. 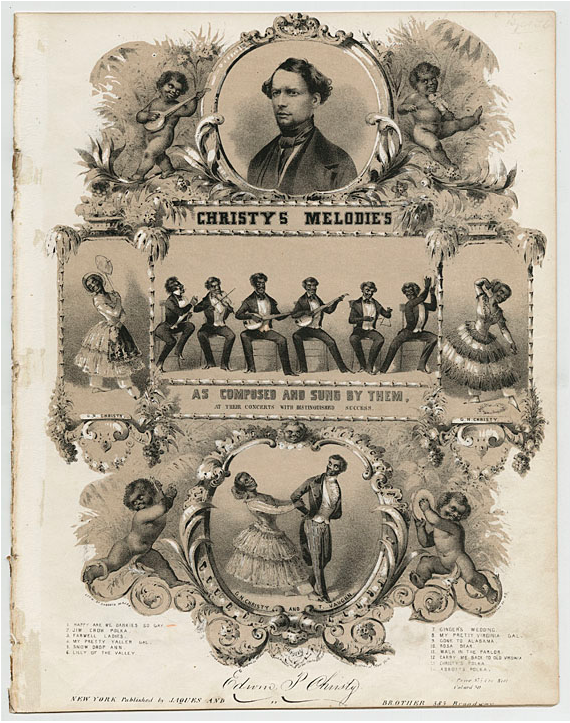 Stephen Foster, a colleague of Christy but more well-known, created similar portrayals of plantation life through music and sketches. However, Foster was perhaps more admirable in that he sought to ‘eliminate objectionable lyrics’ that didn’t serve any purpose but to degrade that African American race. This was either a tactic to gain more supporters, thus a social and political move to further his career or maybe he truly had a kind(er) heart. Saunders, Steven. “The Social Agenda of Stephen Foster’s Plantation Melodies.” American Music 30.3 (2012): 275-89. JSTOR. University of Illinois Press. Web. 13 Apr. 2015.